Prominently located at the intersection of Xiamen’s major roadways, Jinshan Road and Lvling Road, Somerset Software Park Xiamen sits adjacent to the business and leisure facilities of Software Park II. An 18-minute drive away from the airport, the serviced residence offers hassle-free access to the nearby Convention and Exhibition Centre, International Finance Center, JFC Mall and high-end commercial and shopping district. At Somerset Software Park, enjoy the convenience of traveling to Xiamen’s top touristic spots such as Lujiang Road, Zengcuo'an, Gulangyu Island and Guanyinshan with ease, or choose to retreat to your modern sanctuary to rejuvenate and revitalize. 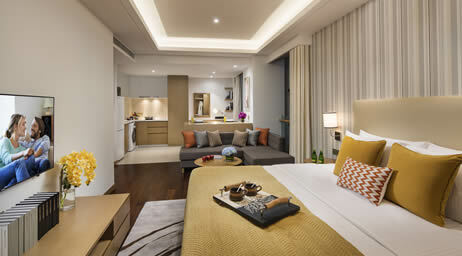 Somerset Software Park offers a total of 167 well-furnished apartments. 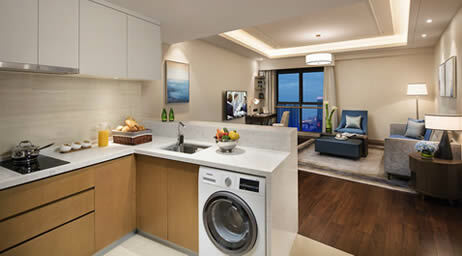 From studios to three-bedrooms, each apartment comes with an individual living space and every comfort you will need – from a fully-equipped kitchen to a sleek home entertainment system and high speed wireless internet connectivity. After work, you will be spoilt for choice at Somerset Software Park. Enjoy a wide range of recreational facilities to provide you and your family with a healthy balanced living – gymnasium, outdoor swimming pool, video, yoga room and sauna rooms, and children’s playroom are all free to access for in-house residents. Together with the various residents’ activities within the homely Ascott community, Somerset Software Park will keep you away from loneliness. 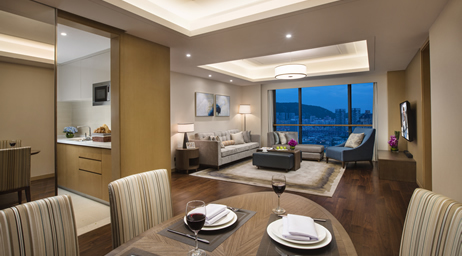 Somerset Software Park Xiamen is one of a premier collection of The Ascott Limited's serviced residences in over 100 cities in the Americas, Asia Pacific, Europe and the Middle East. A member of CapitaLand, it is the global leader in branded serviced residences, bringing you more than 30 years' experience in supporting travellers who work and live away from home. Live the life you desire with the Ascott Lifestyle, a collection of lifestyle experiences handpicked for your indulgence during your stay. Because life is about living. 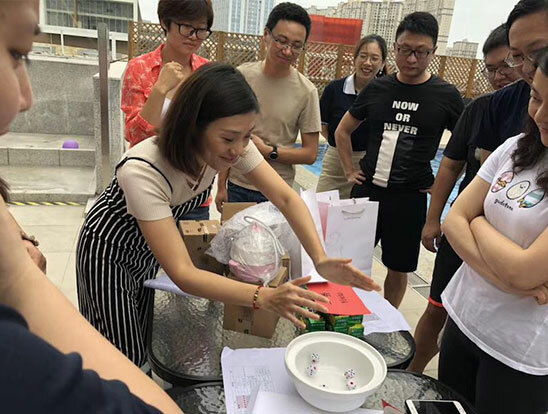 In order to celebrate the upcoming Mid-Autumn Festival, Somerset Software Park Xiamen invited guests to the outdoor pool for a barbecue party and experience tradition ‘Bo Bing’ game. All of the guest spent a unforgettable night with the delicious food and charming sunset. On June 16 2018, long-stay guests and corporate clients were invited to participate “Homely Potluck Party “ at Somerset Software Park Xiamen. Guests checked-in and brought with their homemade dishes so that they can enjoyed foods from different country. During the party, we taught guests to make Dragon Boat Festival satchels. The little tinny satchels are so fragrant and also means blessing and good luck. It was so good that people all over the world sitting together just like a big family. Guests were happy to tell us their culture and customs, and also willing to know Chinese traditional culture. We were talking and laughing all afternoon. 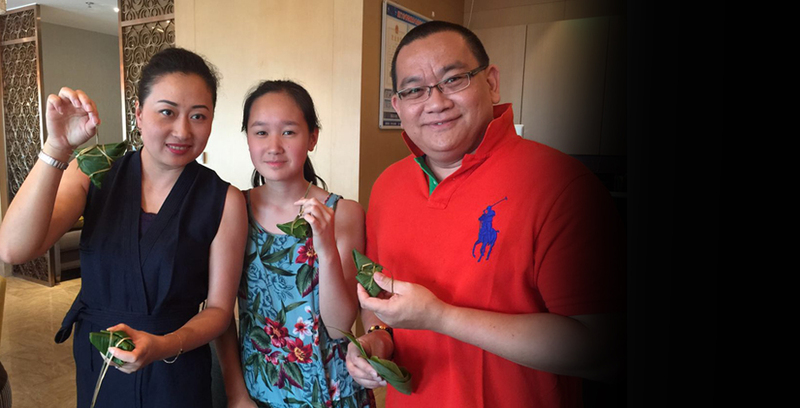 On 26 May 2018, Somerset Software Park Xiamen had invited long stay guests for a bayberry picking outing. We head out at 07:30 and with one hour drive, we finally arrived. Though the weather is quite hot, our guests were all enjoy the moment. They picked and tasted the naturally juicy and delicious bayberry happily. At the end, they said it’s a great nice break from the urban bustle and a great chance to get intimate with nature. It’s a special day for Somerset Software Park Xiamen on 24 December. Today is Christmas Eve, but also the first anniversary day of Somerset Software Park Xiamen. We invited guests to attend our Thank You Party as the theme of Pink Flamingo Night. We got together to celebrate anniversary and thanked guests for their trust and support. We prepared delicious buffet, wonderful performance, interesting games and great gifts. All of them had a great time. We also prepared a birthday cake. The head of every department came to the stage and cut the cake, and wished Somerset a better future. The final lucky draw part pushed the party to the peak. After two hours of happy gathering, our guests left with exquisite gifts and memorable memories. Somerset Software Park Xiamen held an interesting activity for residents on the Dragon Boat Festival. The activity was very successful and attracted a large amount of long stay residents. They learned to make the rice dumplings by themselves, participated in the funny games and enjoyed the delicious barbeque. Some of them were foreigners and it was a special chance for them to learn more about Chinese traditional culture. Besides, the barbeque was carried on the poolside, so our residents could not only taste the wonderful foods with the soft music, but also enjoye the charming sunset in Xiamen. All of the long stay residents felt the warmth of home and had a meaningful and fulfilling festival with us.